Regardless of how you feel about home renovations, when the roof is bad, it all feels bad. Having a roof that is leaking, peeling and crumbling down is impossible to ignore no matter how you try. Most of the gritting of teeth over roof renovation stems from the cost. The costs can fluctuate from cheap to ridiculous and somewhere in between. There are a few ways to keep your roof renovation costs under control and still get a good quality job. Estimates, estimates, estimates. Shop around. As much of a pain as it may be to shop around with different roofers, it is really imperative you do this. You want a quality, long lasting job that is not overpriced. Have several different companies come out and give you an estimate. Check the better business bureau and talk to neighbours about who to start with. Once you have set up times to get estimates, start a list of questions to ask. Check the internet, talk to others in the neighborhood and take a look at the roofs condition yourself. Questions should range from what materials they use, how long, how do they charge (by the hour or job) and when can they start. Check on material costs. 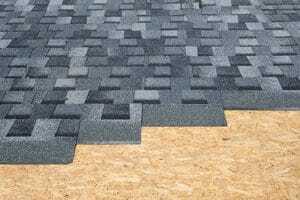 Look at websites carrying roofing materials (tile or wood shingles, etc.). For a total renovation you have the opportunity to change the look of your home – go from tar shingles to tile or wood. Check the costs for an idea of how much this should cost you in materials (include replacement lining or board). If you have soffits are they in need of repair, what about the eaves? Now is the time to have it all completely renovated – you can add or subtract to change the look of your home completely. Once you have an idea of what you want done and how much the materials should run, you can have a more educated discussion with the roofer. One issue to check on is if you add wood shingles, you will need to check with your insurance company to see if additional costs may be involved. Usually wood shingled roofs and houses have higher insurance premiums due to the possibility of fire and damage from animals and weather. If your roof was over 10 years old before renovation, contact your insurance as you should now be eligible for a lower rate. If you have a one or two story house and aren’t afraid of heights, this may be a project you can do on your own. If your home has a simple tar shingled roof, replacement is a matter of removal of the old, putting down a barrier and replacing with the new. Any other level of difficulty or for severely damaged roofs, it is best to call in a professional. One other positive note to allowing a professional roofer to complete your roof renovation is a warranty. There should be a warranty on the work being done and thus any issues that arise can be directed to them to fix whereas if you complete the job yourself, you are the only one to blame.